J.K. Rowling Adaptation Series 'C.B. Strike' Premieres June 1st On Cinemax - Are You Screening? The Cinemax series adapted from J.K. Rowling’s work, C.B. Strike, finally has a debut date so we can all mark our calendars. 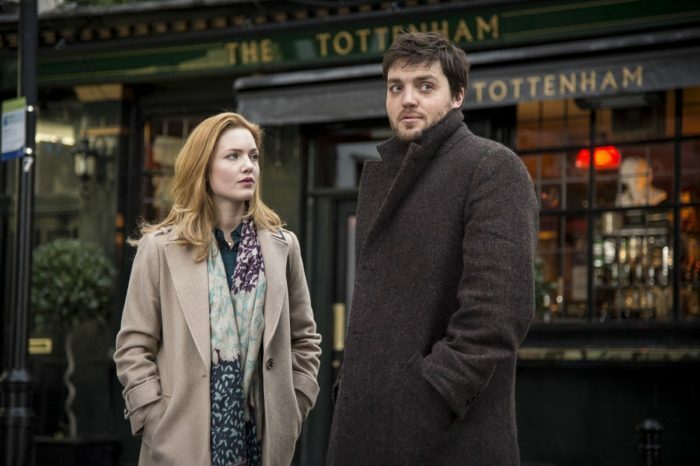 It may just be the anglophile in me, but the series, which stars Tom Burke and Holliday Grainger, looks like just the right mix of mystery and “British television” sensibilities. The show is based on the series of books Rowling wrote under the pseudonym Robert Galbraith and the series kicks off with three one-hour episodes based on “The Cuckoo’s Calling,” the first book in the series. The series follows Cormoran “C.B.” Strike (Burke), a war veteran turned private detective, and his protege (Grainger). In the first episode, Strike is sought out by the brother of a supermodel whose death was ruled a suicide. Strike has trouble getting anywhere with the authorities, but interviews neighbors, friends and family of the victim, chasing the truth. While not exactly the synopsis of the world’s most interesting case, those who are familiar with the original work will know that the story pulls you in surprisingly fast. The series continues with “The Silkworm,” which has Strike taking on a new client, Leonora Quine (Monica Dolan), who wants Strike to track down her missing husband, Owen, a former bad boy of the London literary scene. This seemingly routine investigation takes Strike to the agent who dropped Quine after his unpublished manuscript caused controversy within the industry. It’s a series that harkens back to a different era of detectives, both Poirot-esque and hard-boiled, and while the stories seem to start with cases you’d hardly want to take, Strike makes his way down repeatedly down rabbit holes that make you imagine he’d be quick to hang it all up.